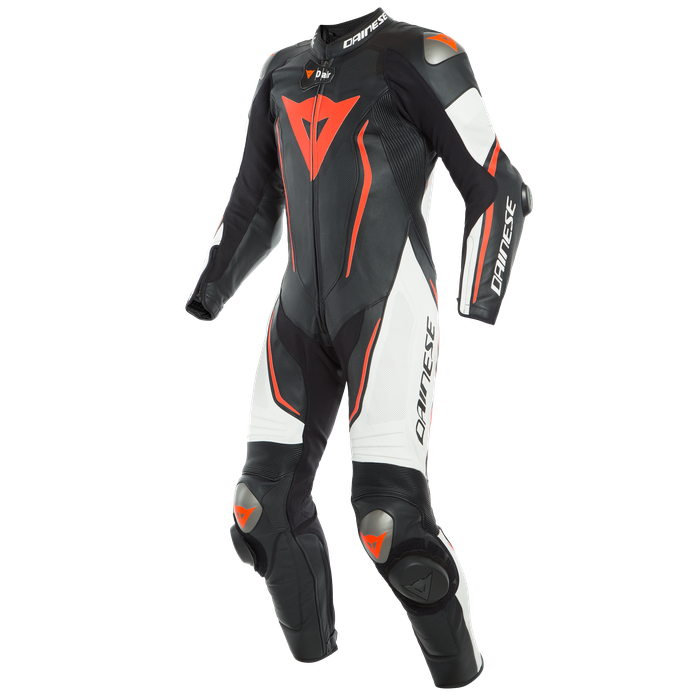 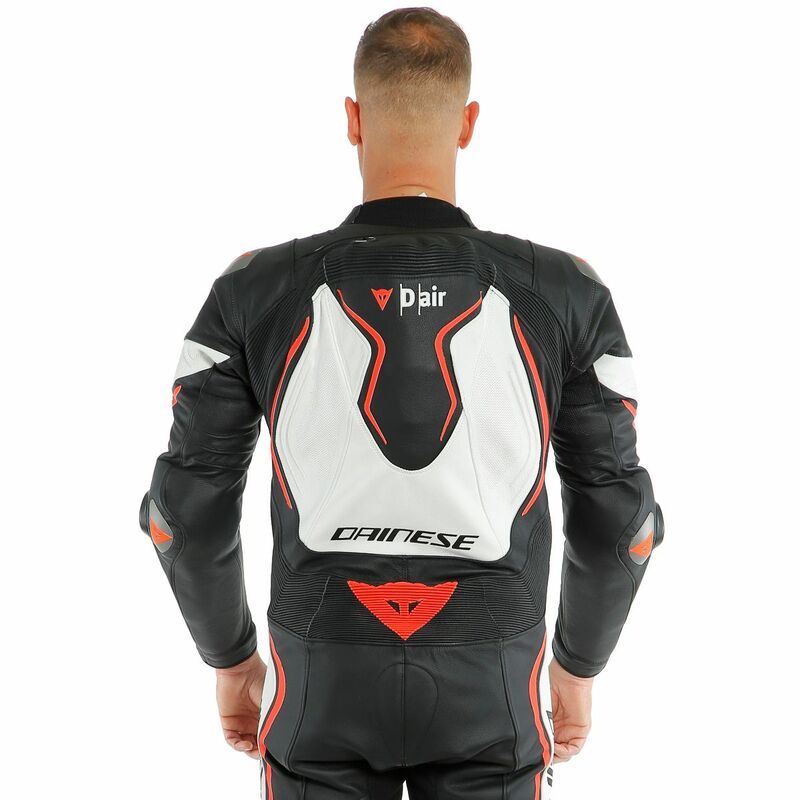 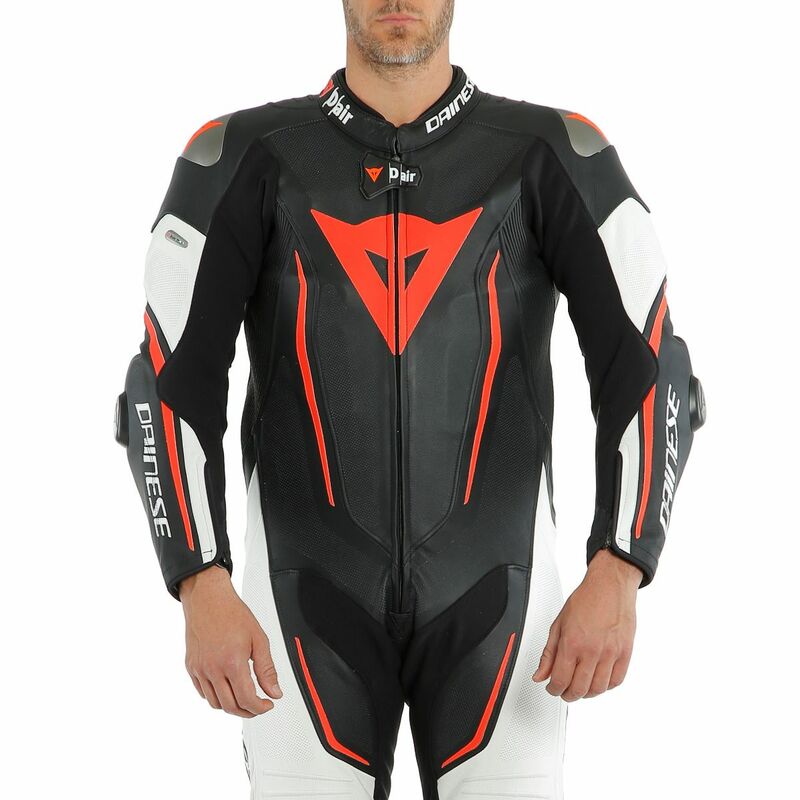 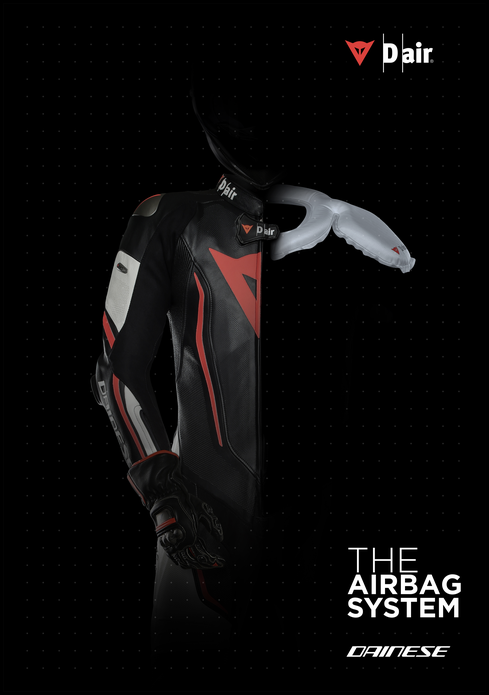 The iconic leather track suit, with the latest generation of Dainese D-air® airbag system. 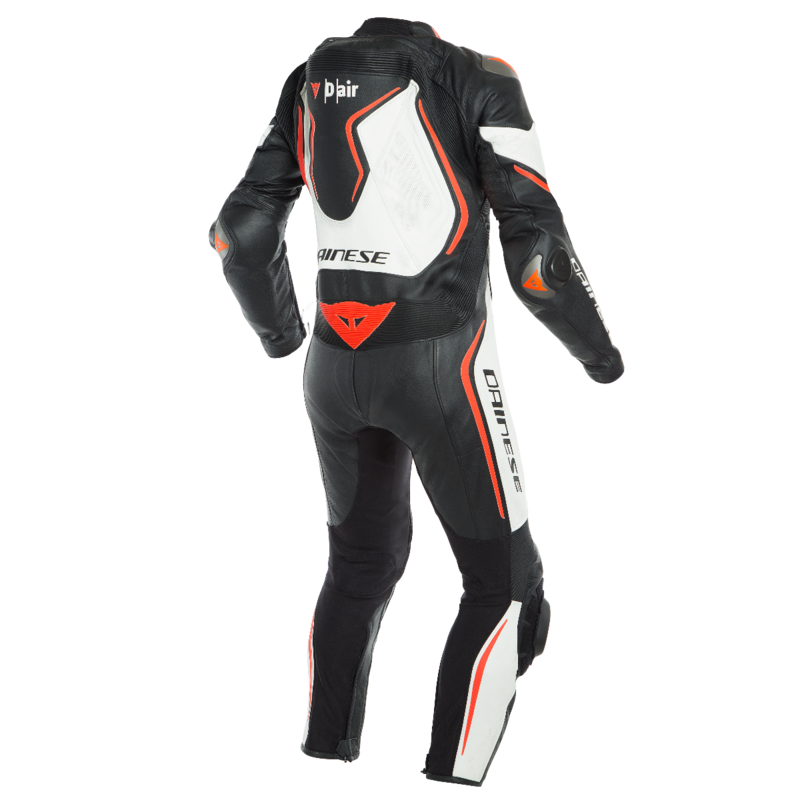 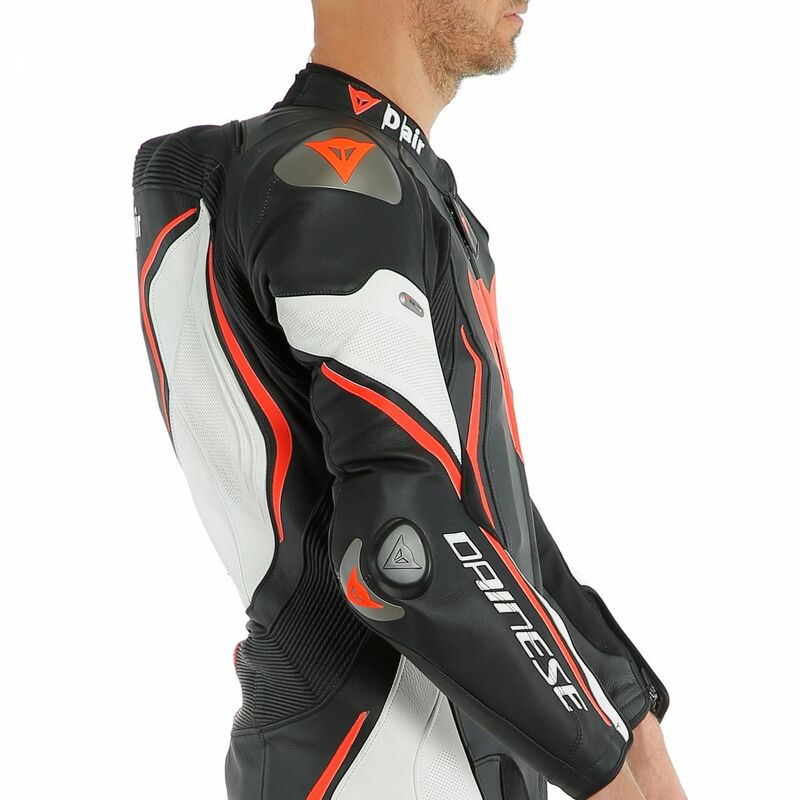 It features D-skin 2.0 full grain cowhide leather and aluminium replaceable plates on shoulders, elbows and knees. 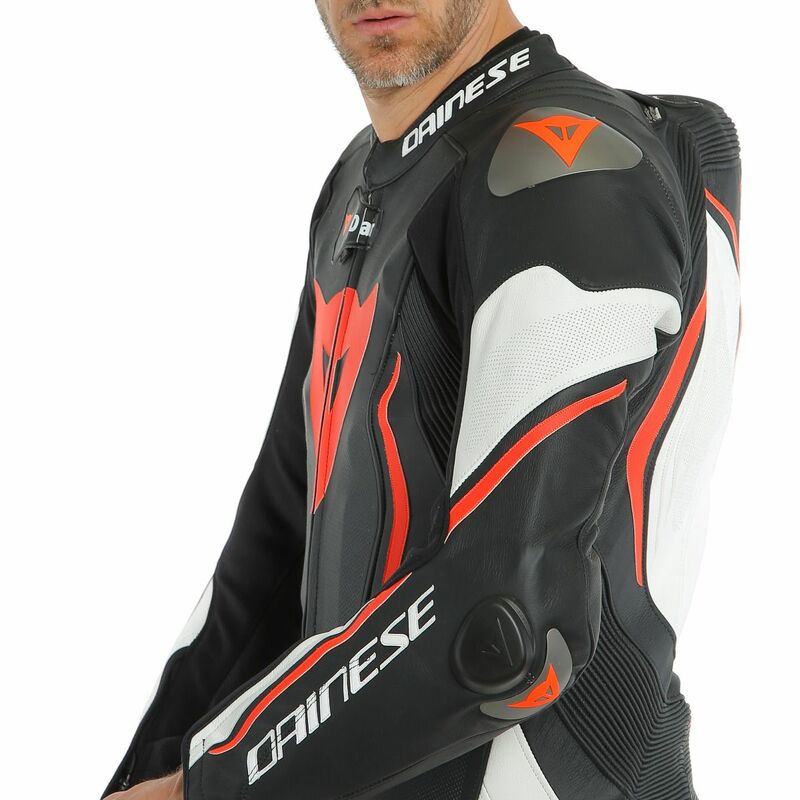 The iconic and Dainese’s leather track suit with the latest generation of the D-air® airbag technology, revisited to enhance comfort and protection. 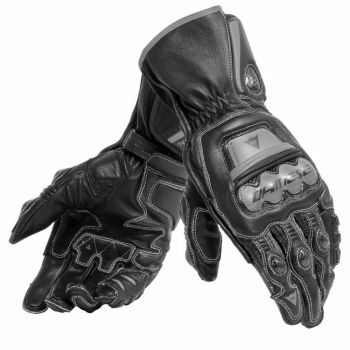 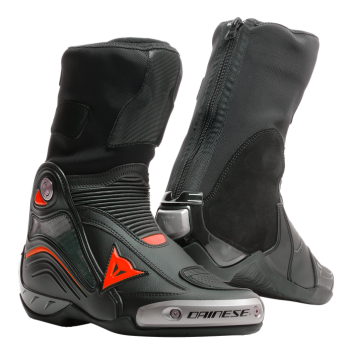 It features new ergonomics like the knee grips inserts, self-locking zippers on wrists, maintaining its legendary fit. 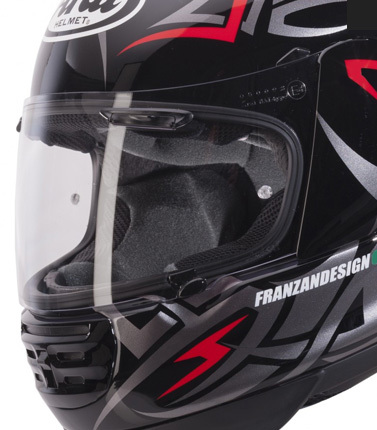 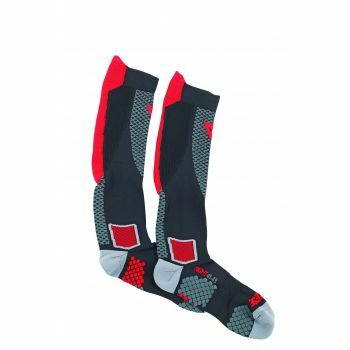 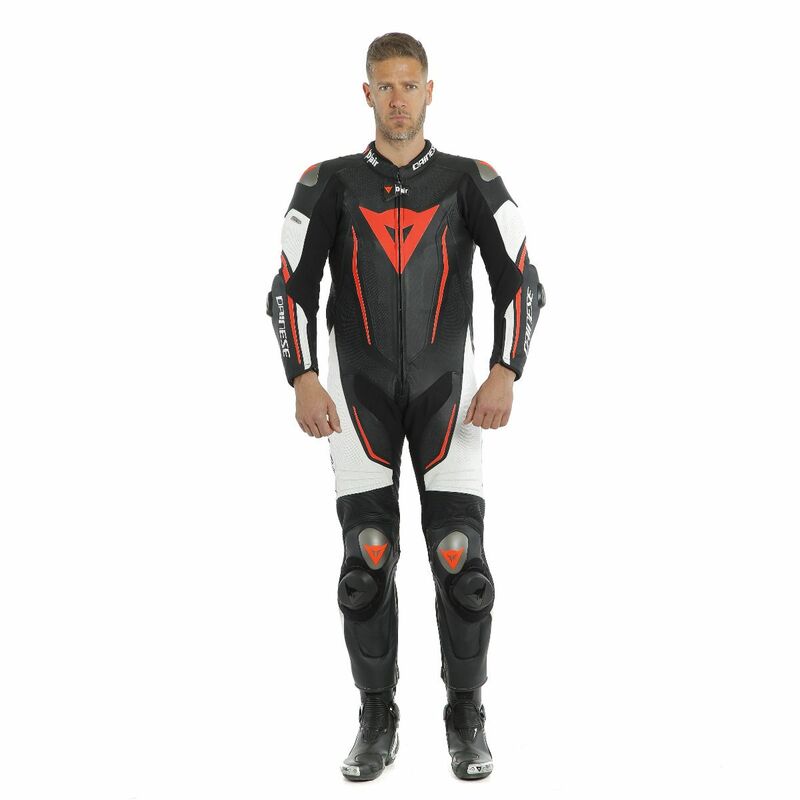 High safety standards are upgraded by new sliders on elbows and integrated knee protectors with unexposed stitching. 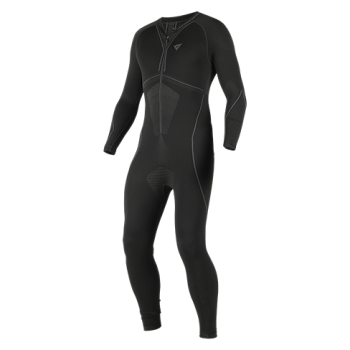 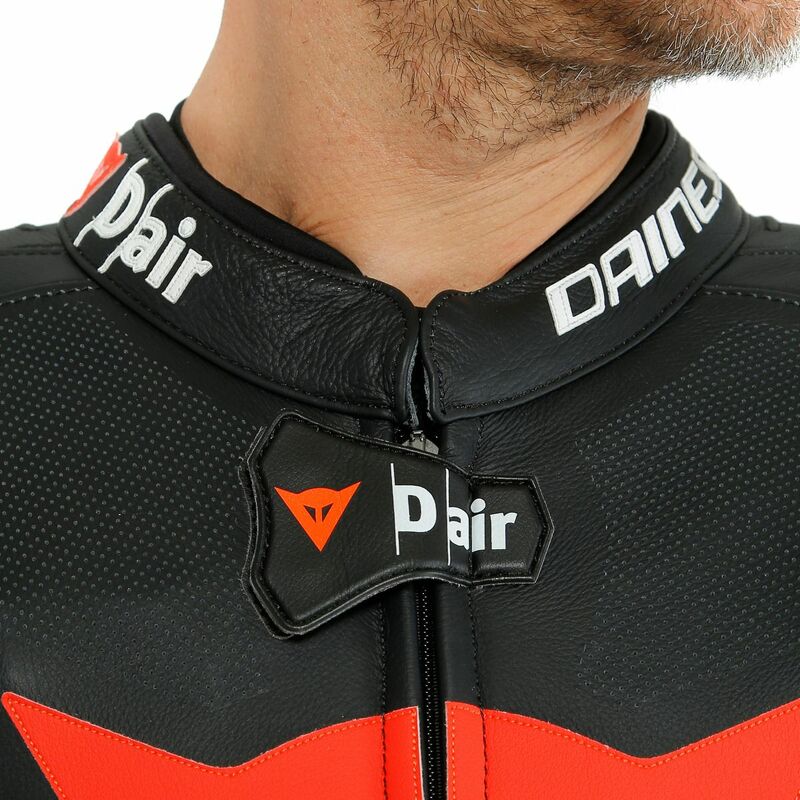 3rd generation D-air® is fully embedded into the suit and integrates the Track-It system, that allows to download and check main performance data like lean angle and speed.